US and Canadian customers have until July 31, 2017 to receive credit for their old devices. New Surface Pro pricing revealed? Big changes on the horizon for Microsoft's Surface line, as both a new Surface Mini and larger Surface Pro are expected to be announced Tuesday, May 20. If this pricing is correct, there is a lot to mull over. First off, we should see prices on existing Surface Pro 2 models should drop by $100 or more. The $799 i3 model sounds really appealing for sketching and comics reading; but I've never run graphics apps with an i3 so it remains to be seen how well they perform on this processor. This model seems to compete directly with the Samsung Galaxy Note Pro 12.2. It will be really interesting to see what Microsoft's plans are for its existing Core i5 Surface Pro 2 models. Will anyone want a 10.6 inch version if the price difference is only $100? The i7 is obviously the model that I want but once again I don't understand the $400 premium for 256GB of additional storage. 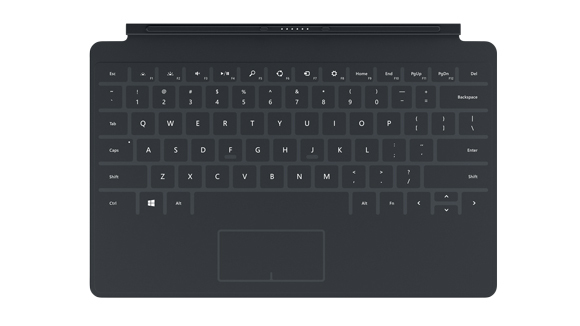 Therefore, the "sweet spot" in the high end model is the 8GB/256GB model for $1549, this pricing and configuration is on par with the often discounted Lenovo Thinkpad Yoga. UPDATE: One item that wasn't immediately clear in this morning's event was the precise processor and GPU contained in the Surface Pro 2. As reported by PCMag.com, "The Surface Pro 2 comes with an Intel Core i5-4200U processor, up a generation from the Intel Core i5-3317U processor found in the older Surface Pro. The i5-4200U has improved Intel HD Graphics 4400, which leads to better 3D gaming performance on the World of Warcraft demo that was playing on the preview unit (8GB memory, 256GB storage, $1,299) we tried out. " Microsoft Surface Vice-President Panos Panay officially unveiled the Surface Pro 2 this morning in New York City and confirmed all the news we've been reporting for the last couple of weeks. The Surface Pro 2 remains physically unchanged from its predecessor except for an adjustable two position kickstand, now improved for use on one's lap. Boasting 50% greater color accuracy, Dolby audio speakers, graphics performance reportedly increased 50% and overall speed is up 20%. Panay showcased the speed and processing improvements by manipulating 6K raw video from a Red camera in real time. Internally, the Surface Pro 2 will house an Intel Core i5 fourth generation (Haswell) processor. Panay affirmed this new processor will yield 75% better battery life and lower heat generation than the first gen model. Four configurations are available: 4 GB/64 GB, 4 GB/128 GB, 8 GB/256 GB and 8 GB/512 GB. 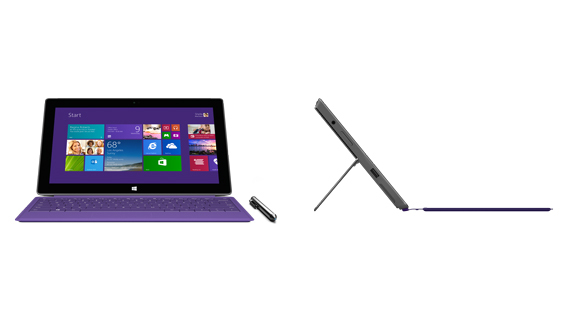 New devices will start shipping Oct. 22, to coincide with the release of Windows 8.1. Pre-orders start tomorrow Sept. 24 8 AM ET. The Surface Pro will continue to start at $799. Surface Pro 2 will start at $899 for a 64 GB version. Mary Jo Foley reported earlier today that pricing for the other models is $999, $1,299 and $1,799, respectively. 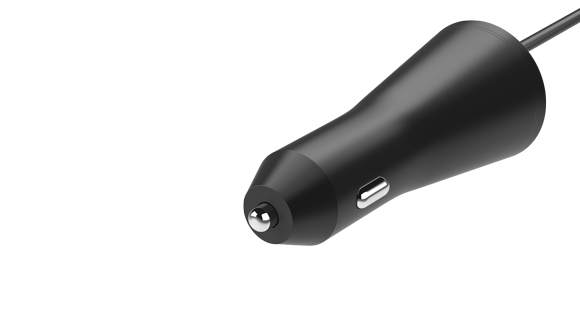 Though I initially missed it while watching the various live blogs, Microsoft also announced a wireless adapter for touch covers, which addresses one of my principle pet peeves. 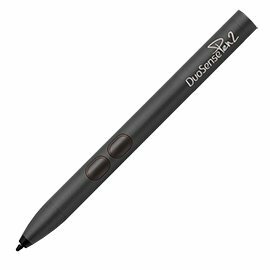 Now you can cradle your tablet while you draw and the keyboard cover will continue to work wirelessly via bluetooth, so you can type the occasional hotkey. Microsoft is offering 200 GB of SkyDrive free for two years and a "Best of Skype" service with all Surface devices. This includes free international calling and access to Skype wifi hotspots for one year. 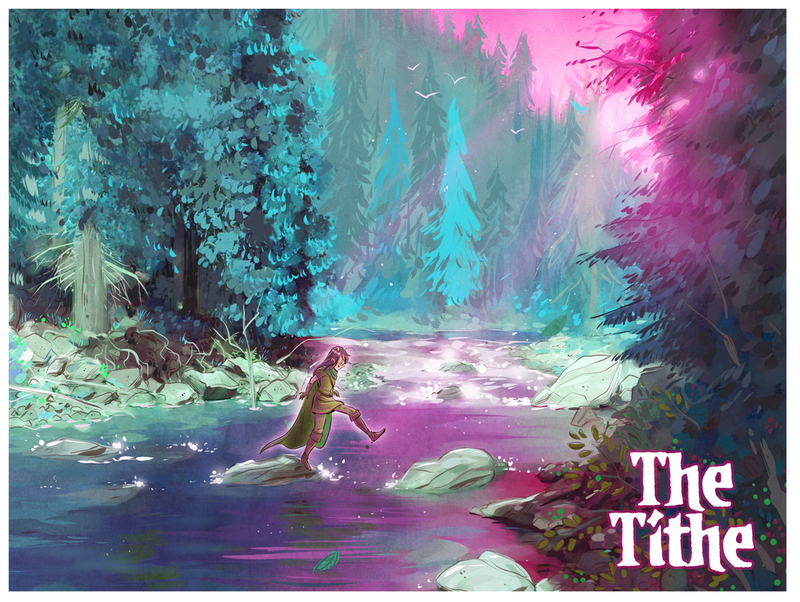 Type Cover 2 in pink, blue, purple and black, 1 mm thinner than original with backlit keys. Proximity sensor detects when you're about to use it. Touch Cover 2 also backlit and 1 mm thinner and lighter than previous version. The touch cover has much higher resolution sensors than original (1092 vs. 80) and features predictive typing. Both new covers will work with existing products. 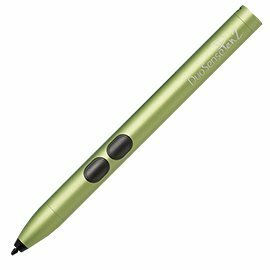 Surface Remix Project is an experimental multimedia touch cover with pressure sensitivity that might be interesting to use in conjunction with paint programs. Microsoft showed off the cover in conjunction with a music mixing app. 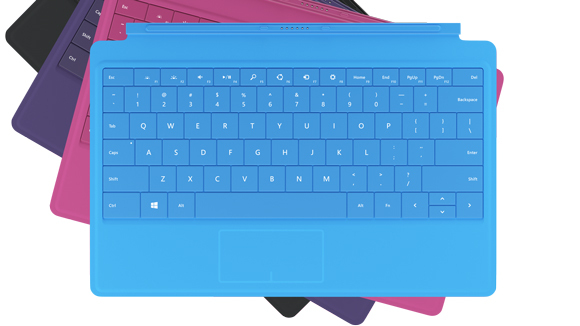 Surface Power Cover will include a built-in battery that will extend the battery life of Surface Pro and Surface Pro 2 devices by 2.5 times! 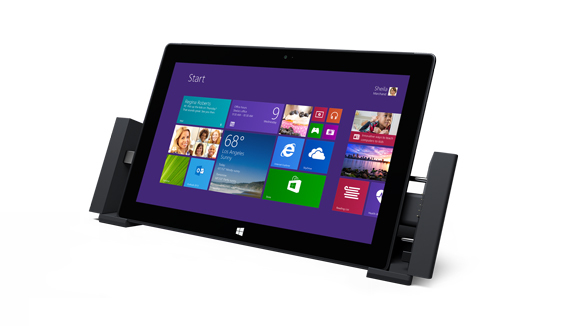 Surface Docking Station, coming in "early 2014" will work with Surface Pro and Surface Pro 2 models only. It will power two monitors up to 384x2160 and includes one USB 3 and three USB 2 ports, a Mini DisplayPort, Ethernet, Audio In and Out and Power. Additionally Microsoft spent a lot of time unveiling the Surface 2, the replacement for the poor selling Surface RT. 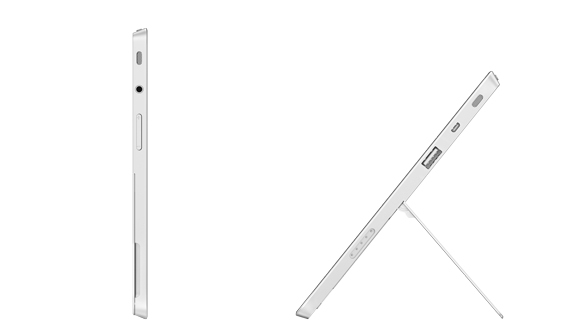 "Lighter, thinner and faster," the Surface 2 is silver magnesium. 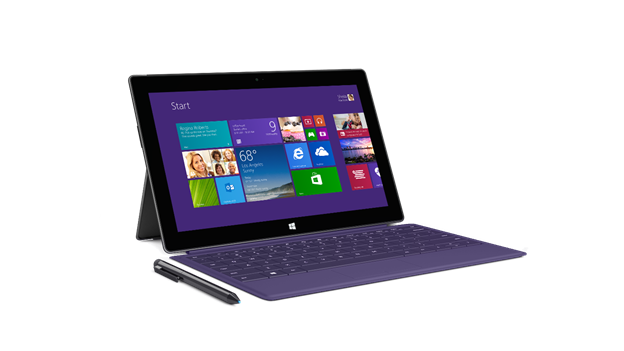 The Surface 2 is powered by a Tegra 4 CPU and ships with 4GB of RAM. It also features an adjustable two-position kickstand, and upgraded 1920 x 1080, 10.6-inch multi-touch display. Battery life continues to be rated at 8 hours. 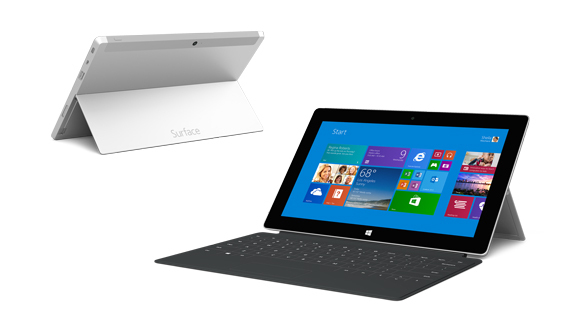 The 32GB Surface 2 will retail for $449, while the original Surface RT will sell for $349 while supplies last. 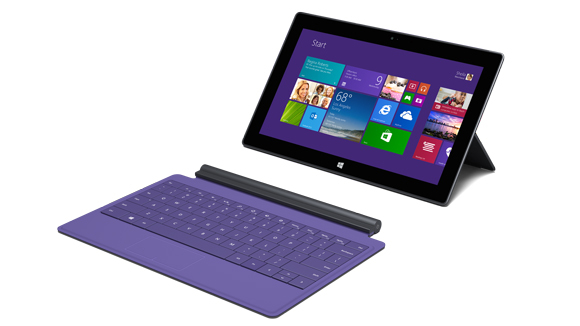 A 64 GB Surface 2 will start at $599. To help people get the most out of Surface 2 and Surface Pro 2, customers purchasing either device will receive free Skype calling to landlines in more than 60 countries for one year, unlimited Skype Wi-Fi on their Surface 2 or Surface Pro 2 at more than two million hot spots worldwide for one year, and 200 GB of free SkyDrive storage for two years.